If you've got some free time, this is a relatively easy, but very cool nail look that you can accomplish with just a few items from the drugstore. It'll get a little messy, but who needs precision when you can just use nail polish remover to clean up? First, apply a basecoat (duh). After waiting for it to fully dry, paint your nails with two coats of your lighter color. Then, wait. Watch some TV. I hope you went to the bathroom before you started, because if you have to go now, you're screwed. After about a half hour, realistically, get out a square of aluminum foil (or maybe you should have done that before putting any polish on? ), and pour some of the light color and the dark color next to each other on the foil. I actually just use an overloaded brush to get the amount I want. Waste not, want not, kids. Using the toothpick, swirl the colors together where they meet, making sure to leave some of each totally untouched. If you can do this in a way that makes the whole puddle about the length of your nails, your life will be a lot easier. Working quickly because the polish on the foil will start to dry, dip the edge of the makeup sponge in the mixed color so that you can press it down on your nail with the darker color on the top. Dab on your nail until you achieve the desired gradient. Don't worry, I know it's getting all over your fingers, that's what the polish remover and cotton swabs are for. Repeat on each nail, adding more polish to the foil as needed. I find using a fresh side of the sponge for each hand very helpful. When you've done all your nails, take the cotton swab, dip it in remover, and CAREFULLY clean the excess polish off your fingers. This will take multiple swabs and more patience than most people have. Once that's done, use any top coat you choose, and then pray you can hold your pee until it finishes drying. Et voila! 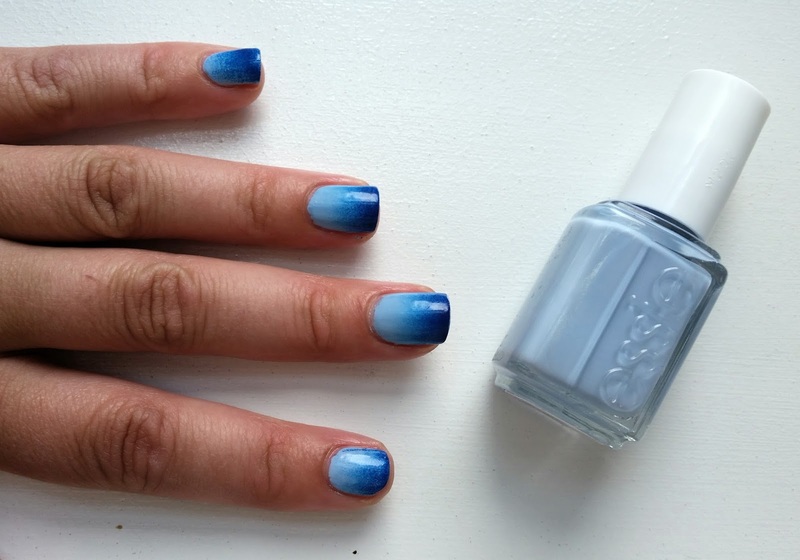 A really cool nail look that didn't require you to have freakishly steady hands. If you give this look a try, post it on Instagram or Twitter with the hashtag #strandedinchi so I can check it out! Skin So Dull? Get 'Bland. DIY Erin Condren Planner Cover!